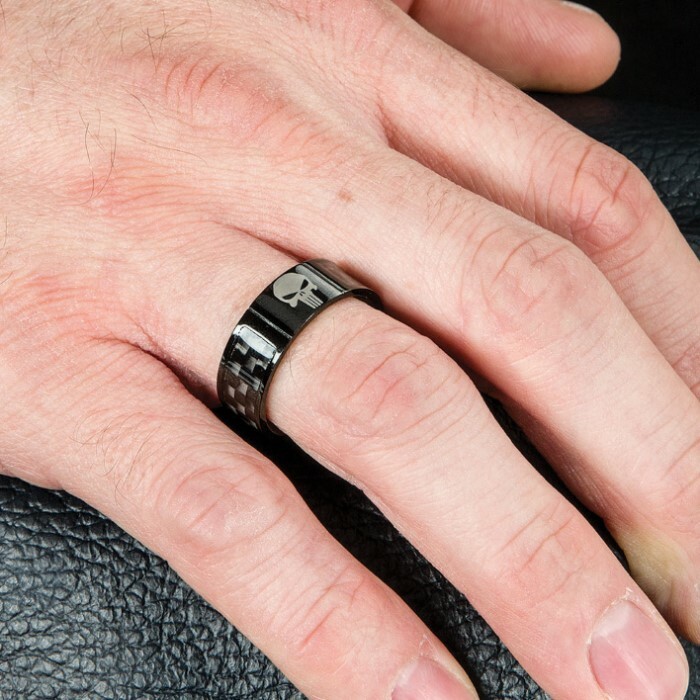 This ring is incredible looking with its black carbon fiber inserts that provide an elegant compliment to the black painted background. 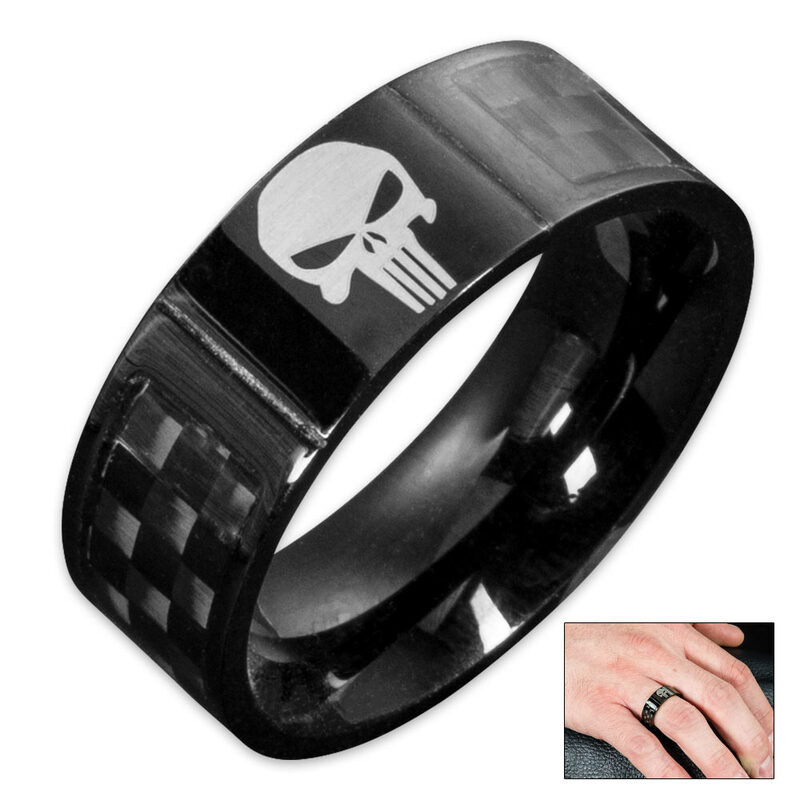 It features The Punisher design element and has a sturdy stainless steel construction. It comes in sizes 8, 9, 10 and 11. Also look for our matching The Punisher Carbon Fiber Bracelet (BK3240).